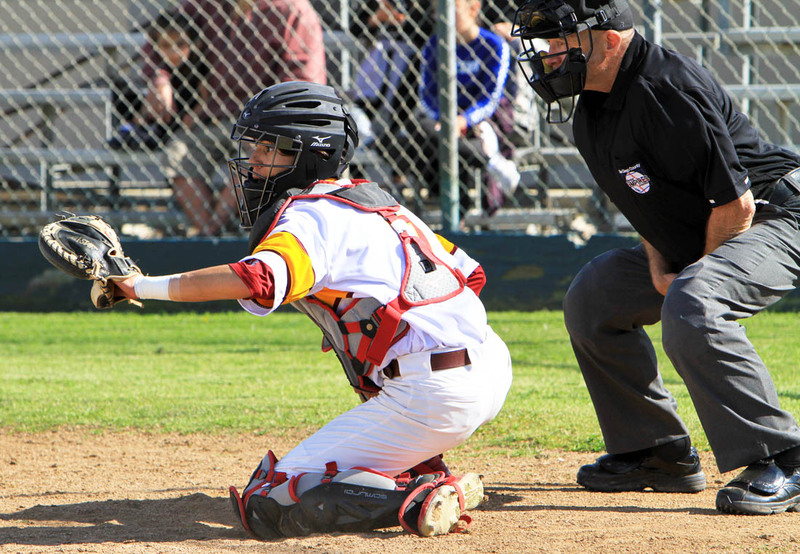 Southwest defeated visiting Maranatha Christian, 17-3, on March 19 to improve to 10-3 on the season. 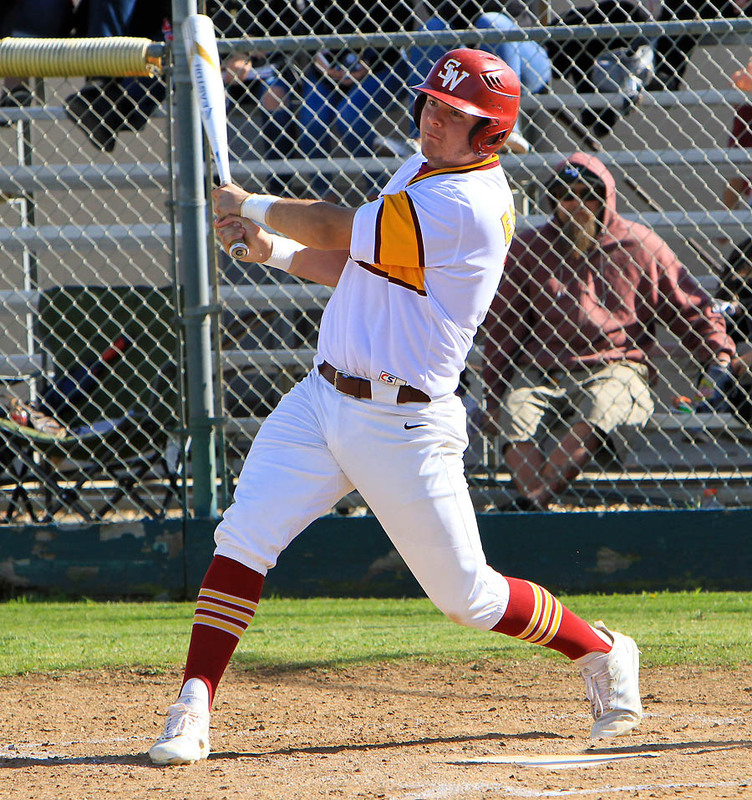 Dominic Escobar rapped out three hits, scored two runs and collected four RBI to help propel the Raiders to their latest victory. Arian Tirado scored two runs and drove in three runs while three other players each collected two RBI: Adrian Sanchez, Diego Corrales and Raul Bojorquez. 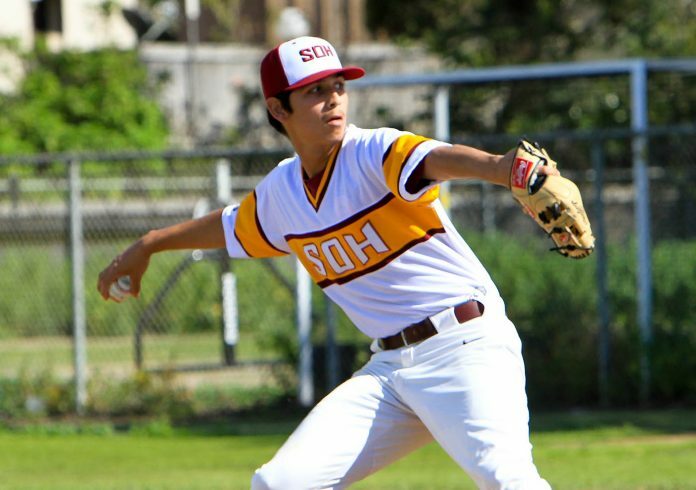 Southwest slugged Maranatha Christian pitcher for 19 hits, including six extra base hits. 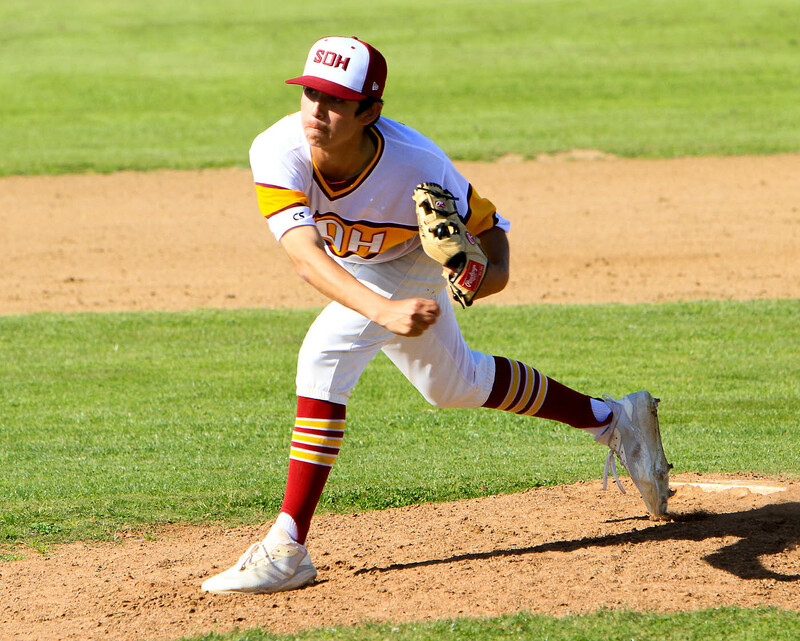 Rene Montoya pitched 4.1 innings, yielding five hits and no earned runs, to pick up the pitching victory. He struck out three hitters and did not walk a batter. The Raiders proved they were no pushover after defeating Hilltop, 3-1, in a GMC tournament game on March 15. 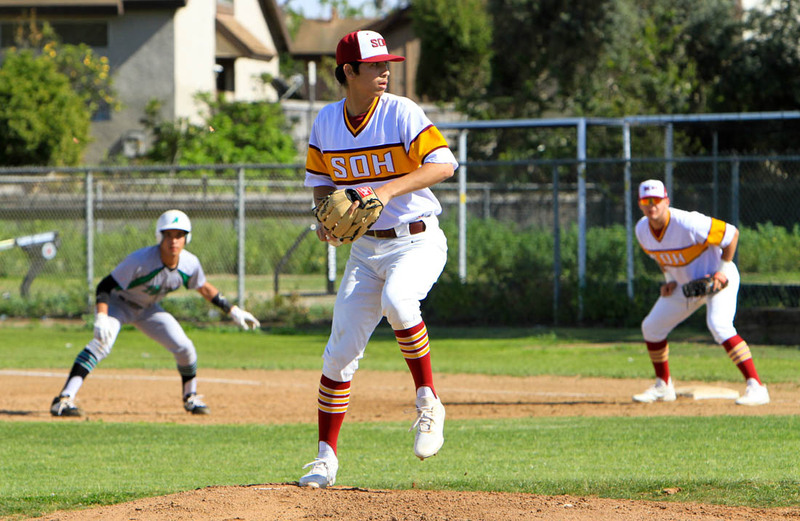 In that game, Ricardo Dominguez and Diego Ruiz each drove in runs while Sanchez pitched a complete game one-hitter, striking out 10 Lancers. Sanchez threw 105 pitches while facing 26 hitters. Sanchez is excelling both on the mound at the plate. He has posted a 3-0 record with a 1.04 earned-run average while leading the team with a .485 hitting average and recording nine RBI. Sanchez has 26 strikeouts in 27 innings. Jorge Martinez is also 3-0 on the hill with a 1.40 ERA. He has 19 strikeouts in 10 innings. Escobar leads the Raiders with 13 RBI. 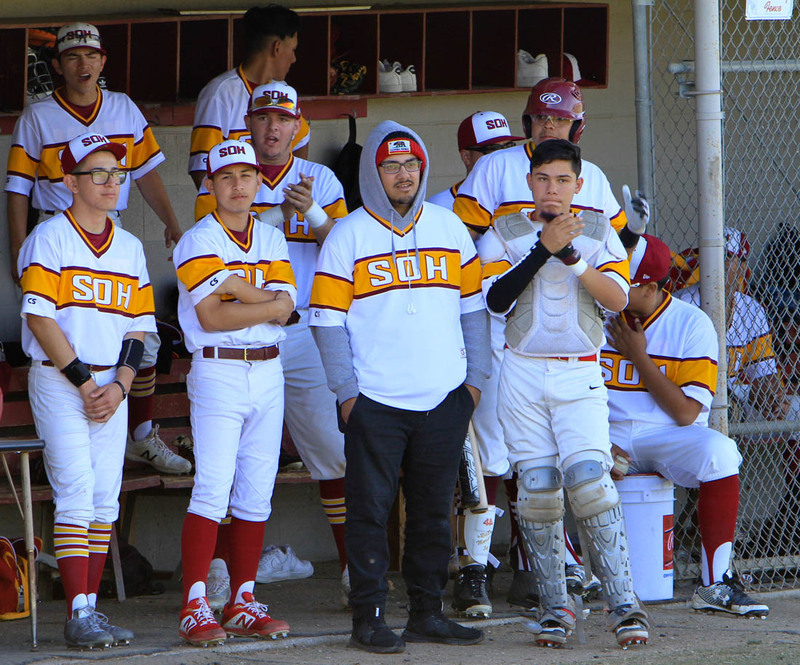 Southwest, winners of its last three games, will meet Monte Vista (7-6) in the GMC (Grossmont-Metro-City) divisional tournament championship game on March 30 at the Spring Valley school. Game time is 10:30 a.m. The March 30 game is a rematch of a previous GMC tournament game on March 12 in which the Monarchs posted a 2-1 win to end the Raiders’ seven-game winning streak. 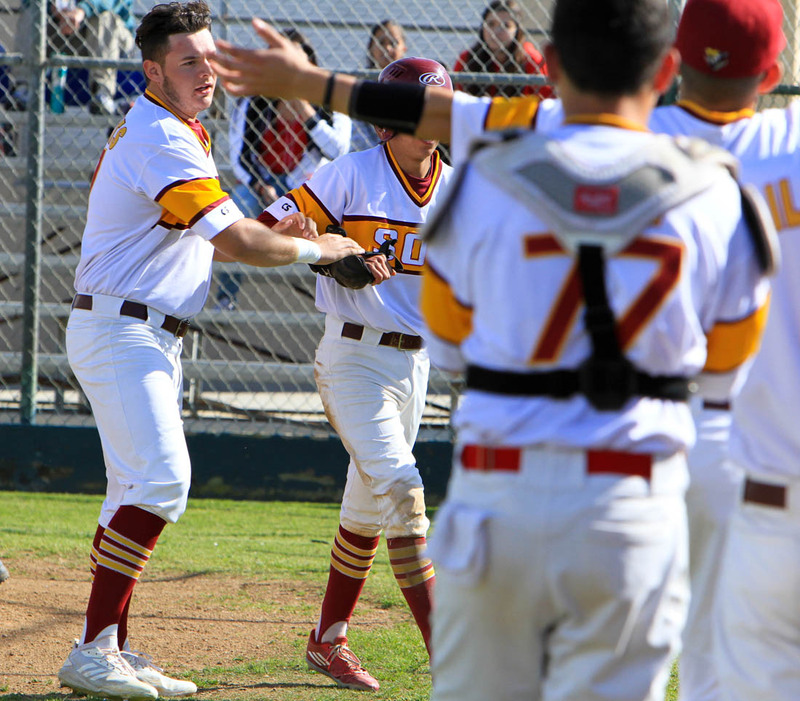 Grossmont defeated Cathedral Catholic, 9-2, last Saturday (March 16) to win its division in this year’s GMC tournament. Jaden Wilcox pitched the final 5.1 innings in relief to pick up the win, allowing just one unearned run to improve to 2-0 on the season with a 1.21 ERA in 17.1 innings. Kaleb Tedokon led the victorious Foothillers (7-4) with two singles, a two-run double and three RBI. 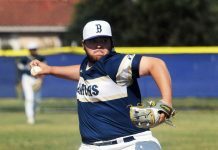 Bonita Vista out-slugged Christian, 15-1, to win its GMC tournament division on March 16. DiMaggio Cazares hit a solo home run while Bubba Villegas slammed a triple as the Barons improved to 7-5 on the season. 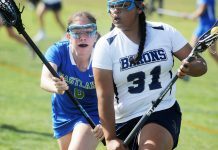 Eastlake opened defense of its Mesa League championship by edging Bonita Vista by scores of 2-1 on Wednesday (March 20) and 2-0 on Friday (March 22). The Titans improved to 10-1-1 with the sweep while the Barons saw their record level out at 7-7. 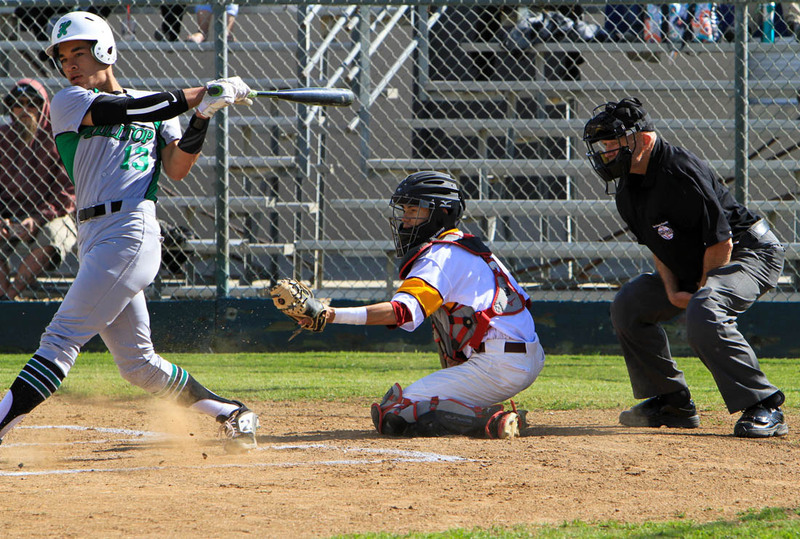 Otay Ranch also opened Mesa League play with a 2-0 start after sweeping San Ysidro by scores of 9-8 on Tuesday (March 19) and 7-1 on Friday (March 22). 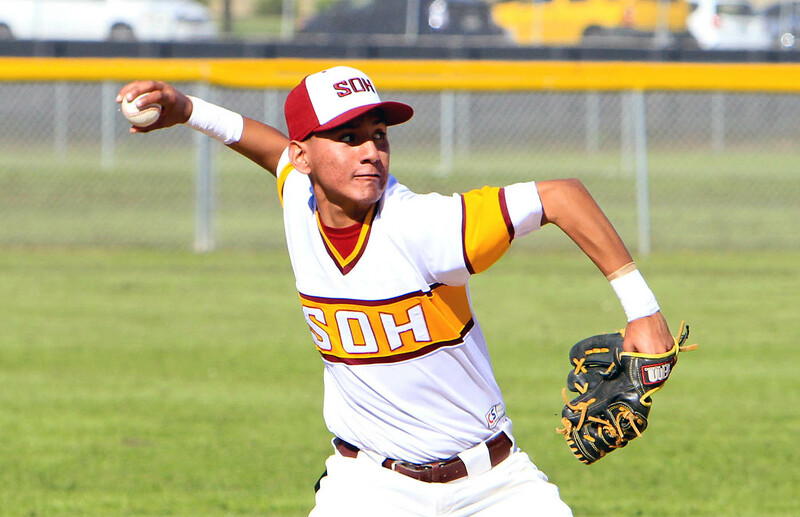 Senior Octavio Corona earned the player of the game award for the Mustangs (6-5-1) in Friday’s victory after pitching five hitless innings. 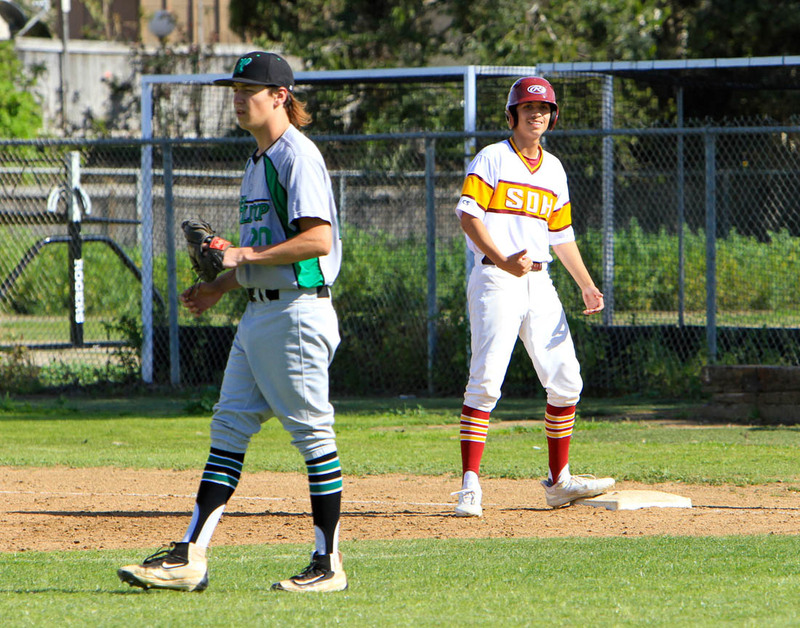 Chula Vista and Montgomery split their league opening series by trading 1-0 wins. 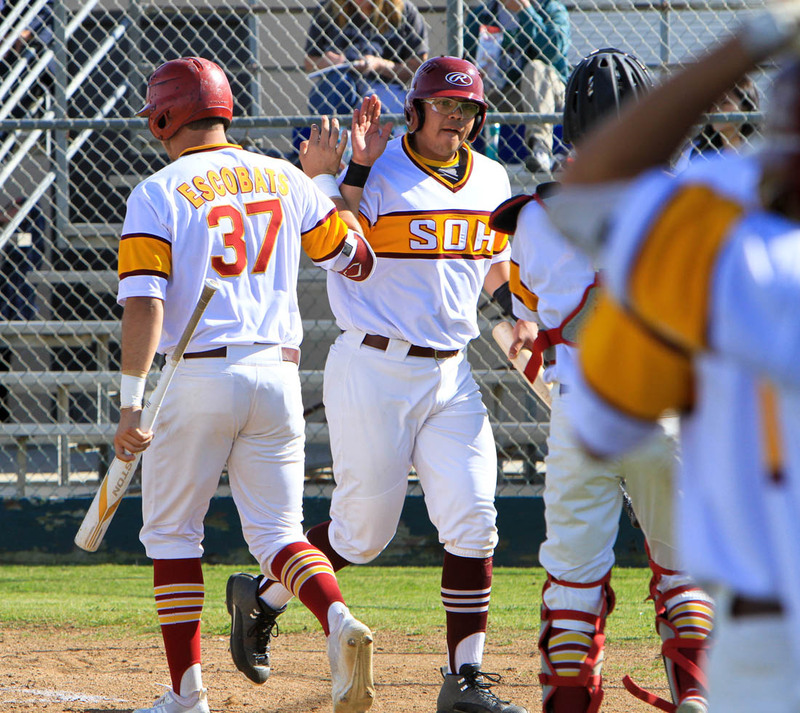 The Aztecs (6-6) won on Wednesday (March 20) while the Spartans (4-9) won on Friday (March 22) behind Brian Rivera’s complete game three-hitter. Victor Lizarraga scored the lone run for Montgomery in Wednesday’s league opener while Carlos Nafarrate pitched a complete game six-hitter, striking out four batters. 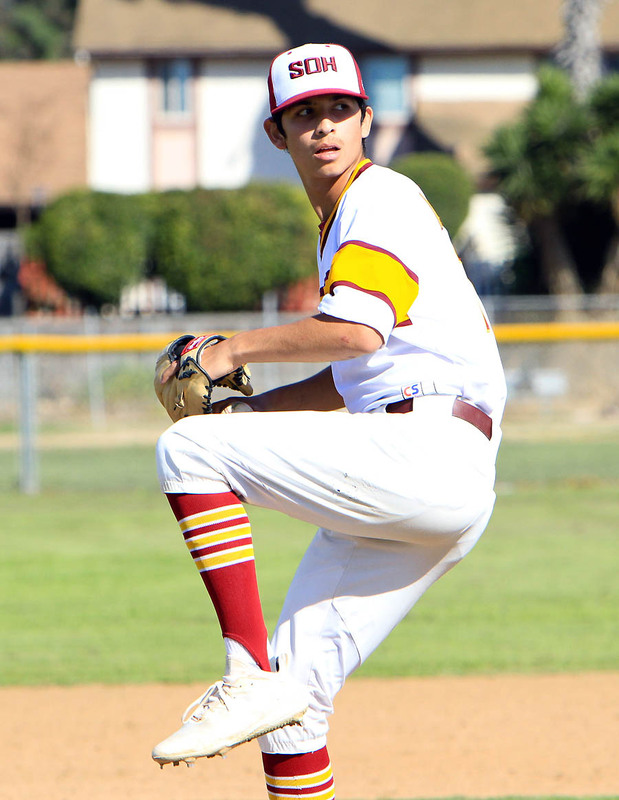 Nafarrate out-dueled CV ace Antonio Garcia, who allowed five hits in seven inning while striking out eight batters. 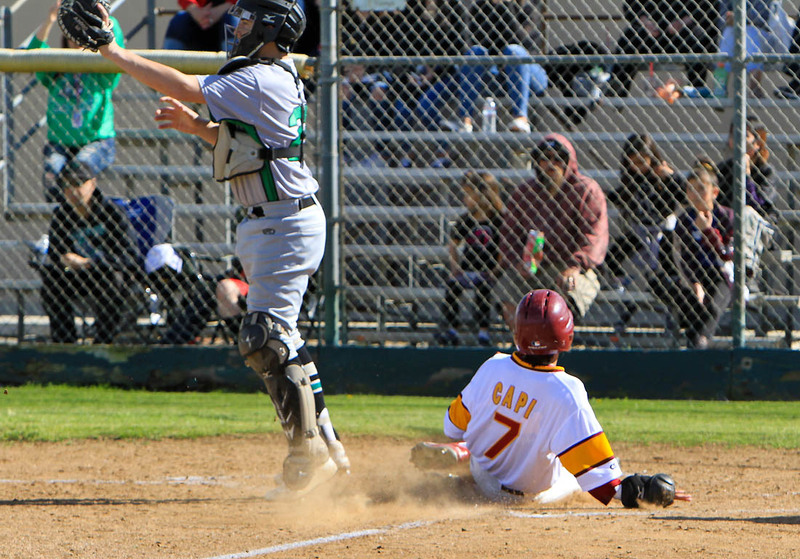 Hilltop (5-5) had a bye in the opening week of league play. The Lancers will next battle Chula Vista in a two-game series. Eastlake High School alumni continue to help drive the early season success of the San Diego State University baseball team. The Aztecs swept a recent home series against Seattle U and captured two of three games in last weekend’s road series at the University of New Mexico to improve to 13-9. Julian Escobedo, Casey Schmitt and Brian Leonhardt all contributed to SDSU’s latest five victories. 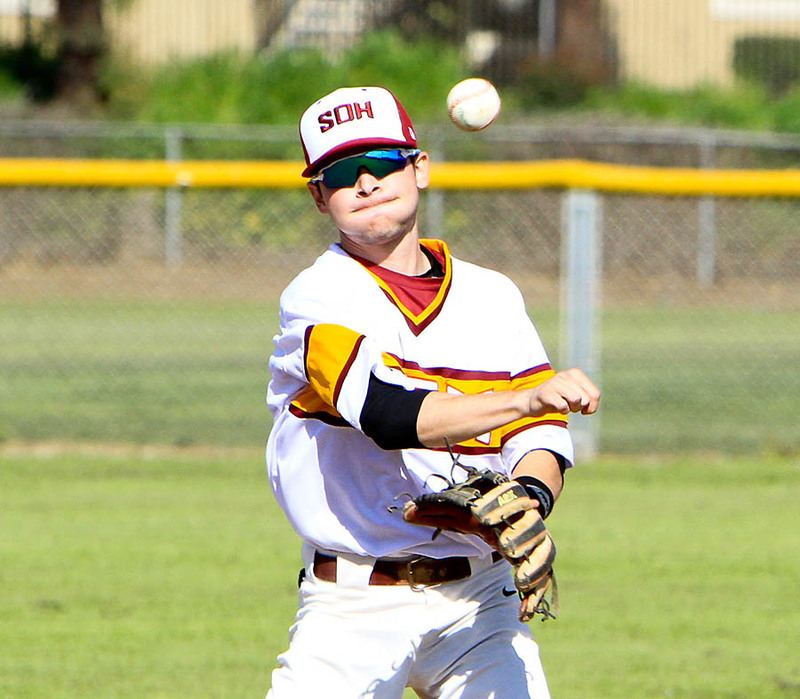 Escobedo reached base on an infield single in the bottom of the fourth inning and scored on a single by teammate Chad Bible. Schmitt, who went 2-for-5 in the game, then brought home Bible with a single as the Aztecs scored three runs in the frame. Leonhardt scored teammate Matt Rudick on a sacrifice fly in the bottom of the seventh inning to tie the game at 5-5. Valhalla grad Casey O’Sullivan struck out the side in the tip of the eighth inning and remained on the mound to pick up his third win of the season after stranding a pair of base runners in the top of the 10th inning. SDSU clinched the series against Seattle with a 12-8 win over March 16. Leonhardt turned in an impressive performance by going 3-fo-4 with a run scored and four RBI. He delivered a go-ahead RBI-single in the third inning as the Aztecs erased an early 3-0 Redhawks lead. He drove in two more runs with a base hit in the sixth inning and later capped the night with a run-scoring RBI single. The Aztecs completed their series sweep of Seattle with an 11-5 win on March 17. 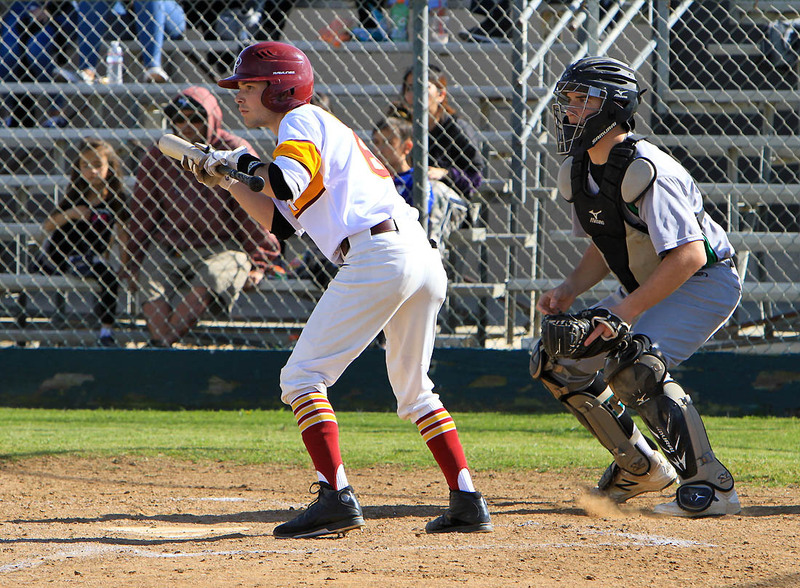 Schmitt was the standout for the Aztecs by going 4-for-5 at the plate while earning the victory on the mound. Schmitt earned his first win of the season by throwing five innings while allowing two runs on four hits with three walks and six strikeouts. At the plate, he finished a triple shy of hitting for the cycle to log two runs scored and two RBI. Schmitt hit a home run over the left field wall in the second inning and two frames later singled home Leonhardt after the ex-Titan had slammed a lead-off triple. Esxobedo scored Rudick with a RBI double in the eighth inning and later scored on a sacrifice fly by Leonhardt to up the score to 11-5. Escobedo finished the game 3-for-5 and a RBI and run scored while Leonhardt went 2-for-4 with a run scored and two RBI. Leonhardt followed Schmitt on the mound with two innings of relief work, allowing two hits and one run. O’Sullivan later pitched the eighth inning. SDSU had its four-game winning streak nullified in a 5-1 loss at Loyola Marymount on March 19. The Aztecs promptly bounced back with a 4-2 win at New Mexico on March 22. Schmitt scored on a fielder’s choice to push the visitors to a 3-0 lead in the top of the fourth inning. Leonhardt made a diving catch on a bunt attempt to start a 3-4 double play to help quell a Lobo uprising in the ninth inning. O’Sullivan picked up his second save of the season after getting a line-out to center field to end the game. SDSU stayed hot with a 19-3 win on March 23 as all nine players in the starting lineup either recorded multiple hits or drove in multiple runs. Escobedo drew a bases-loaded walk in the eighth inning as the Aztecs rolled across four runs. The 16-run margin of victory was the largest for SDSU since defeating UC Riverside 19-1 on April 24, 2018. The Aztecs set season highs in the blowout win over New Mexico for runs (19), hits (20), at-bats (45), RBI (18) and total bases (32). The Aztecs were unable to complete the series sweep after falling, 13-4, to the host Lobos on March 24. SDSU built an early 3-0 lead in the game before being overwhelmed on the scoreboard. Schmitt took the loss on the mound. Escobedo and Leonhardt both recorded multi-hit performances in the setback. Leonhardt now has nine multiple hit games this season while Escobedo has seven. 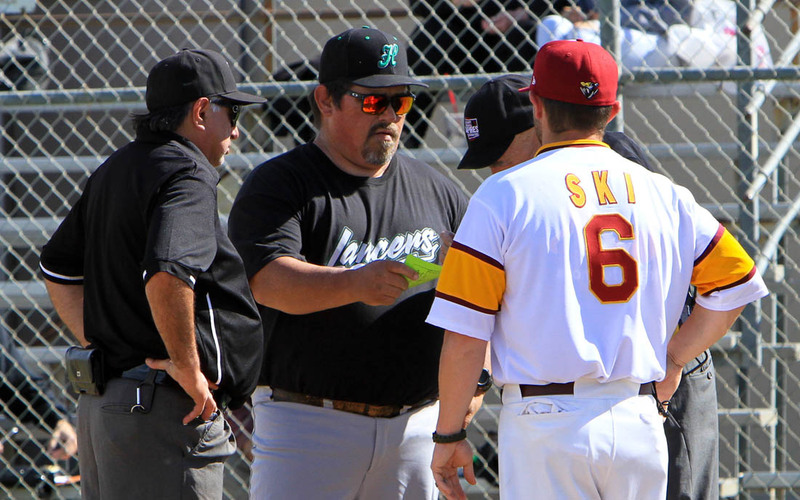 The series in Albuquerque served as a reunion for several Eastlake players, most notably Leonhardt and New Mexico freshman Micah Pietila-Wiggs. Pietila-Wiggs has appeared in seven games for the Lobos this season, scoring three runs. 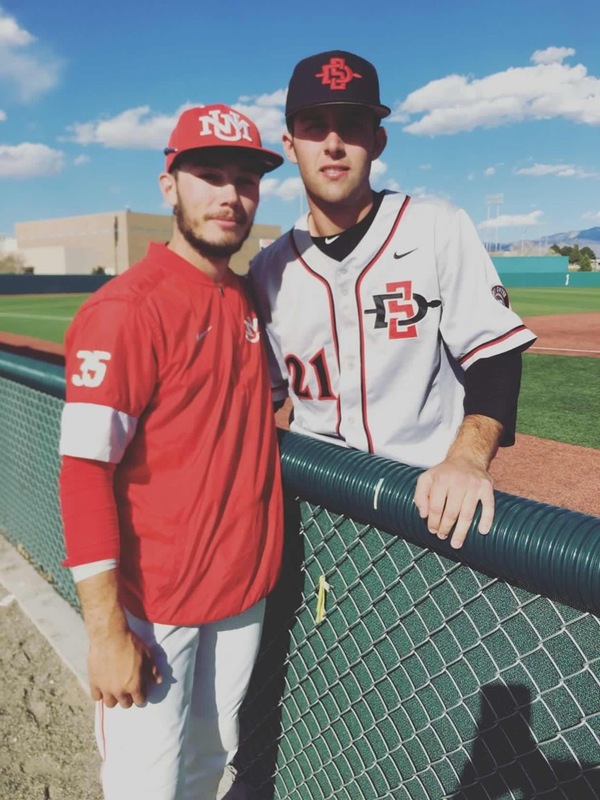 Eastlake High 2018 grads Micah Pietila-Wiggs (left) and Brian Leonhardt had a chance to reconnect during last weekend’s SDSU three-game set at the University of New Mexico. Behind a three-run eighth inning and a lights-out performance by Daniel Ritcheson out of the bullpen, the San Diego State baseball team posted a 6-4 comeback win over Arizona at Tony Gwynn Stadium on Monday night (March 25). The Aztecs improve to 14-9 on the season, while the Wildcats fall to 13-11. Trailing 4-3 heading into the bottom of the eighth, Joe Fitzhugh kick-started the late-inning rally with a one-out double. Fitzhugh advanced to third on a Ryan Orr groundout and later scored on a Matt Rudick single cutting through the left side of the infield to knot the score at 4-4. Angelo Armenta delivered the go-ahead knock, ripping a line drive into right-center to score Rudick. Casey Schmitt later brought home an insurance run, singling to right to score Mike Jarvis. 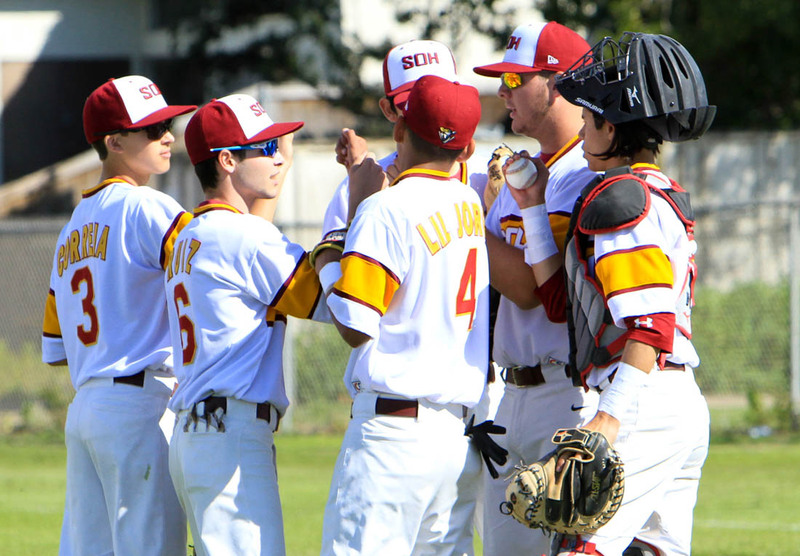 During the late-inning comeback, Ritcheson was lights-out for the Aztecs on the mound, posting an inning-ending strikeout to leave the bases loaded in the bottom of the eighth before striking out the side in the ninth to close the game. Ritcheson earned his first win of the season, allowing just one base runner over 1.1 innings pitched and recording all four of his outs via strikeout. The scoring started early for the Aztecs and Wildcats, as the teams traded first-inning home runs with Arizona third baseman Nick Quintana hitting an opposite-field solo home run in the top of the first and Schmitt hitting his third home run of the season in the bottom half to give the Aztecs a 2-1 lead. Jarvis drove in Rudick on a double down the left field line in the bottom of the third to extend SDSU’s early lead to 3-1. The Wildcats eventually erased SDSU’s early deficit, scoring single runs in the fifth, sixth, and eighth. Making his first collegiate start, Brian Leonhardt went 3.1 innings with four runs, one run and one walk allowed while striking out five. 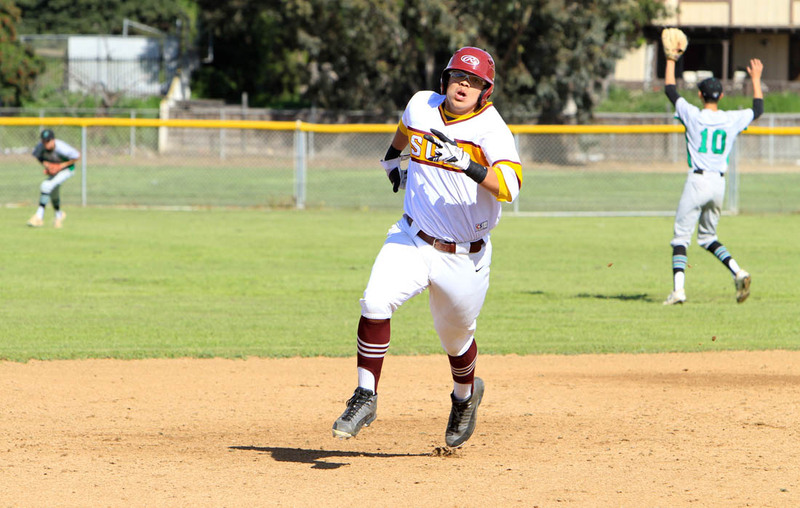 Jarvis led the Aztecs offensively, going 3-for-3 with two runs scored and an RBI. Schmitt finished 2-for-5 at the plate with three RBIs, while Rudick finished 2-for-4 with two runs scored and an RBI. Arizona’s Avery Weems was handed the loss after surrendering three runs on three hits. – SDSU’s win tonight snapped a streak of 20 consecutive losses when trailing after seven innings. – SDSU is 9-3 in its last 12 games. That stretch marks as the best 12-game stretch for the Aztecs since going 10-2 from April 15, 2018 – May 5, 2018. – San Diego State improves to 6-1 in its last seven games against members of the Pac-12. – SDSU recorded its 14th double-digit strikeout game of the season with 14 punch outs, surpassing the 2018 season total of 13. – Mike Jarvis recorded his fourth consecutive multi-hit game with a 3-for-3 showing on Monday. Over his last four games, Jarvis is 9-for-15 (.600) with six runs scored. – Matt Rudick extended his hitting streak to 15 games and his on-base streak to 17 games. Rudick’s 15-game hitting streak is the longest since current graduate assistant Danny Sheehan recorded a 17-game streak during the 2017 season. – Rudick also recorded his team-leading 11th multi-hit game of the season. – SDSU’s top four hitters (Matt Rudick, Mike Jarvis, Angelo Armenta, Casey Schmitt) combined for eight of SDSU’s nine hits, scored five of SDSU’s six runs, recorded all six of SDSU’s six RBIs, and collectively went 8-for-16 (.500) at the plate. 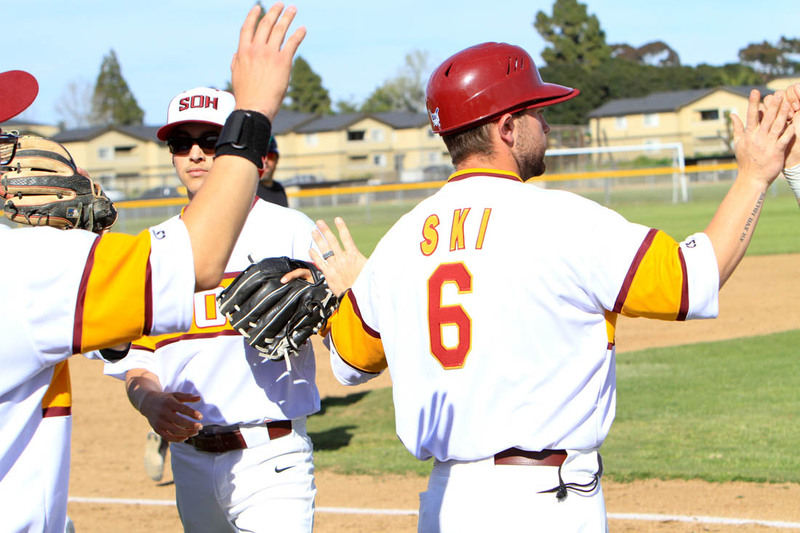 – Casey Schmitt recorded his fourth multi-RBI game of the season and his seventh multi-hit game of the season. – Chad Bible had a 13-game on-base streak come to a close tonight. – The game time of 4:20 marks as the longest game of the season for SDSU and the fourth 4:00+ game of the season. – The two teams combined for eight different pitchers and 27 different position players used. SDSU finishes a five-games-in-five-day stretch tomorrow at 6:00 p.m. against California Baptist. The game will air on XTRA 1360. When the National City News, which first published in 1882 and the Chula Vista Star—founded in 1918— merged in 1954 they formed The Star-News. The Star-News serves a combined population of 350,000-plus residents in the cities of Chula Vista and National City in San Diego County. The Star-News newspaper is published every Friday. A subsidiary of CommunityMedia Corp., The Star-News delivers local political, sports, human interest, education and entertainment news.